How can I insert a client's answer into questions in the form? 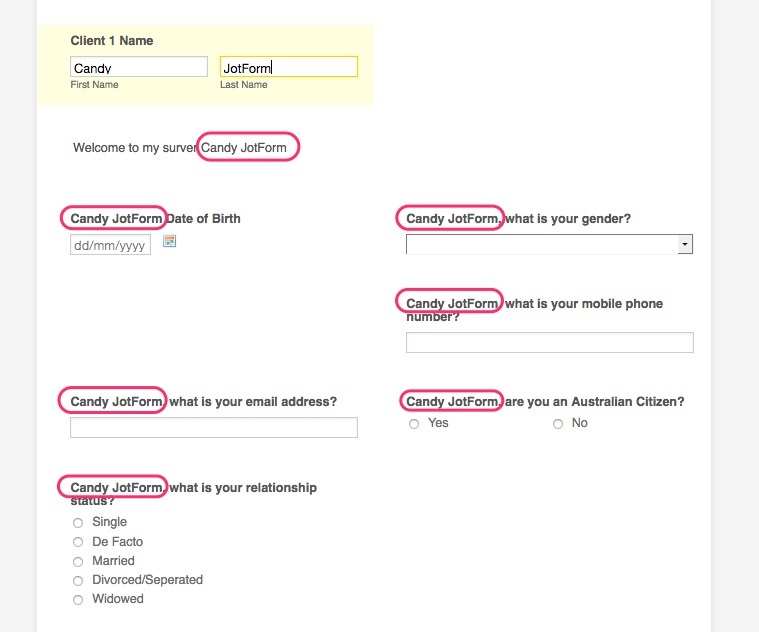 For eg; once they enter their name at the beginning of the form, how can I then personalise the rest of the form so that the questions include the name they have provided us? 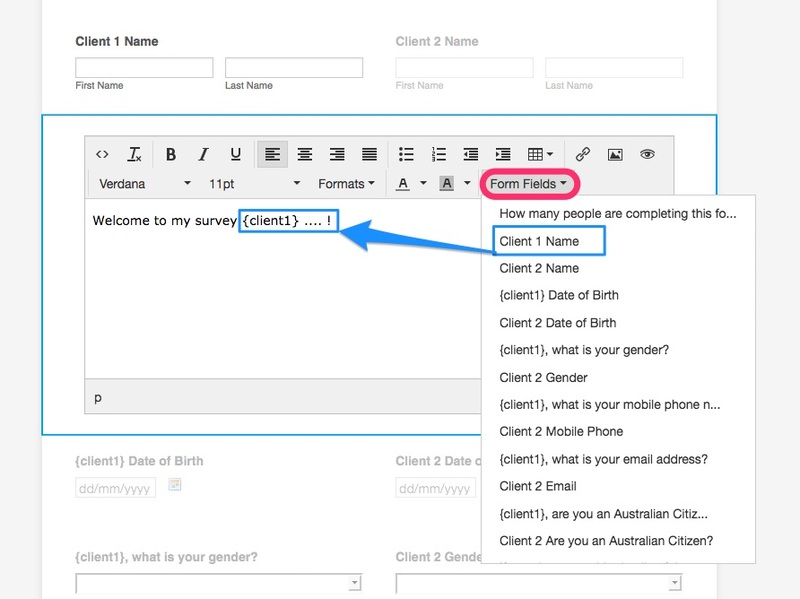 You are able to use form fields in the questions and text areas. I have cloned your form named "Fact Find Survey" on my side in order to show you an example.